GOT FISH? LIKE FISH? NEED FISH? WANT FISH? PEP'S PACKING IS THE WHO, WHAT, WHERE, WHEN, & WHY ON FISH IN GUSTAVUS! 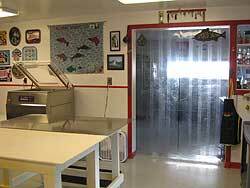 QUALITY FISH PROCESSING & COMMERCIAL FISH SALES. Note: COMMERCIAL FISH PRICES VARY, DEPENDING ON MARKET VALUE PRICE. Please call for current prices. Most credit cards accepted. 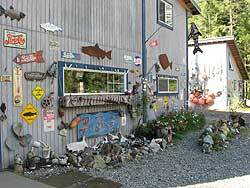 "Stop by PEP'S PACKING today for a package of fresh king salmon or halibut to barbeque for your dinner tonight!" 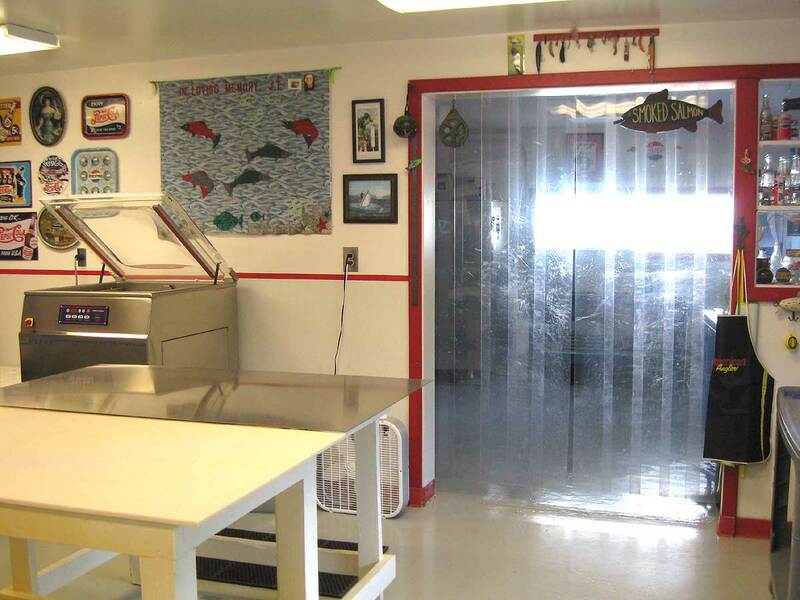 We are a family run, locally owned fish processing business. We will pack and freeze your sport caught fish or smoke it for you - or you can buy some of John's own alder smoked salmon or halibut at our plant. You can also try our delicious fresh king and halibut: something great to throw on the bar-b-que when you get home. Pep, of PEP'S PACKING, grew up in Gustavus. She was raised off the land, so to speak. Picking the local wild strawberries and blueberries, she made jam with her mom, stirring the hot syrup over the big wood range. She fished with BIG brother, and hunted deer with her dad, trapping in the winter, and camping along the sandy Gustavus beach, and exploring the vast wilderness of Glacier Bay. Educated in Gustavus, Pep really has an appreciation of the people and this rare flat land where she takes care of your fish, as well as taking care of her family. Her school friends named her Pep, partly because of her boundless energy, her happy smile, and the love of Pepsi memorabilia that she displays around PEP'S PACKING. Pep's husband and partner at PEP'S PACKING is the chief smoking expert John Scott. 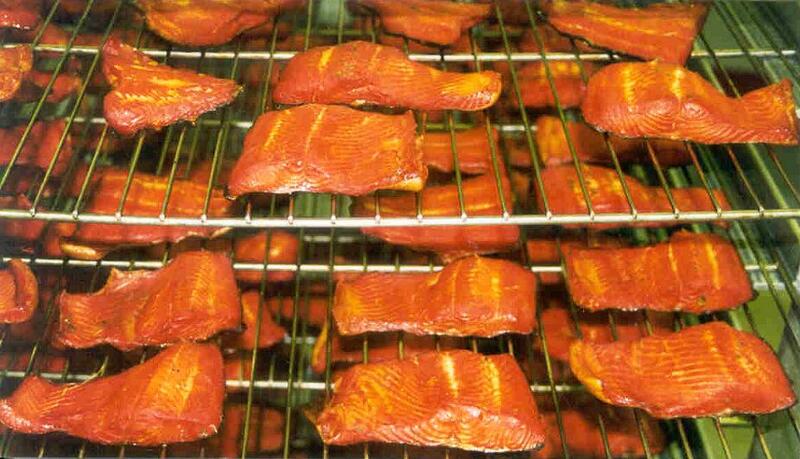 Just a little taste of John's fresh alder smoked salmon or halibut has caused many to swear off chocolate! Pep and John were married on the 4th of July and that is the only day, all summer long, that you will find a closed sign on the door. Pep and John hire locally raised Gustavites. Everyone works really hard at Pep's Packing and they are really appreciated for their "can do" - "will do" attitude. Even Dustin, their son, is around to make boxes and run errands- that is when he isn't out crabbing or up the river with his fishing pole! Pep's pop and mom say "We are so proud of Pep, John, and Dustin. They work very hard every day and aren't afraid to try something new. Then they work on their idea until it is absolute perfection. PEP'S PACKING is the cleanest establishment I've ever been in. I think it's neat to be in Pep's when someone comes in that really doesn't care much for fish... but after a taste of John's fresh alder smoked salmon, there is a quick reversal in their attitude and a new customer has been converted! KEEP UP THE GOOD WORK, KIDS, WE LOVE YOU." PEP'S PACKING packs, smokes, and sells fresh fish. Come in and check out our great services and products. In addition to handling your own fish, you may want to top off your travel box with some wild Alaska King Salmon or some our wonderful custom alder smoked halibut! 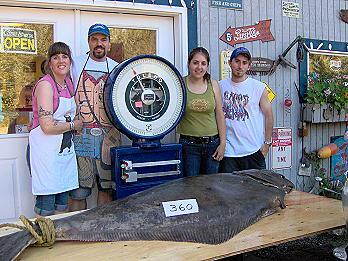 WHOLE FISH: $2.00 per lb. FILET FISH: $1.65 per lb. Please call (907) 697-2295 for current prices. PEP'S PACKING CAN SET YOU UP RIGHT! While you're here, try a taste of John's fresh alder smoked salmon or halibut... and then take home enough to share with your family and friends. They will be grateful! PEP'S PACKING is open all summer. Our only day off is our anniversary, July 4th. The best time to stop by is between 11am and 7 pm. We are open until 7 pm each evening. 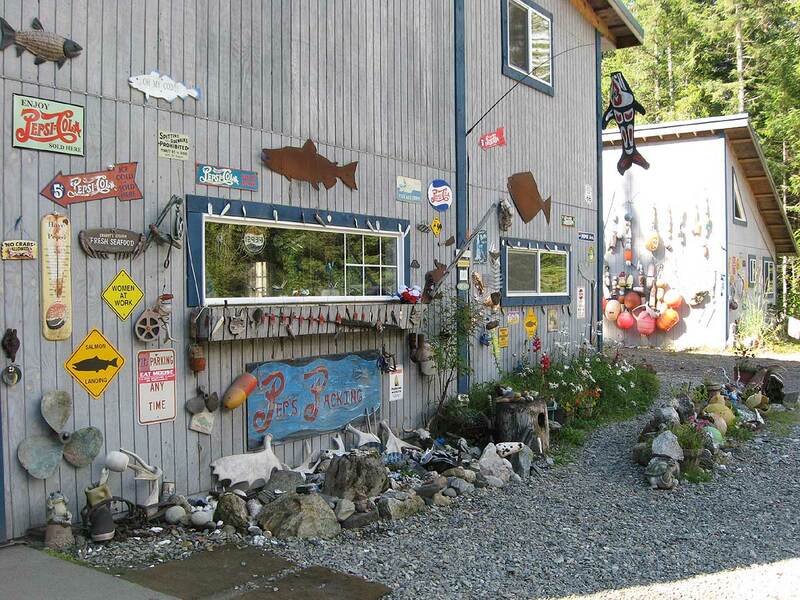 PEP'S PACKING is centrally located in Gustavus, Alaska on Dolly Varden Road. 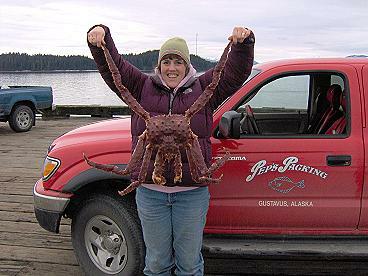 Give us a call at (907) 697-2295 or from your boat on the marine radio. WE MONITOR CHANNEL 19. 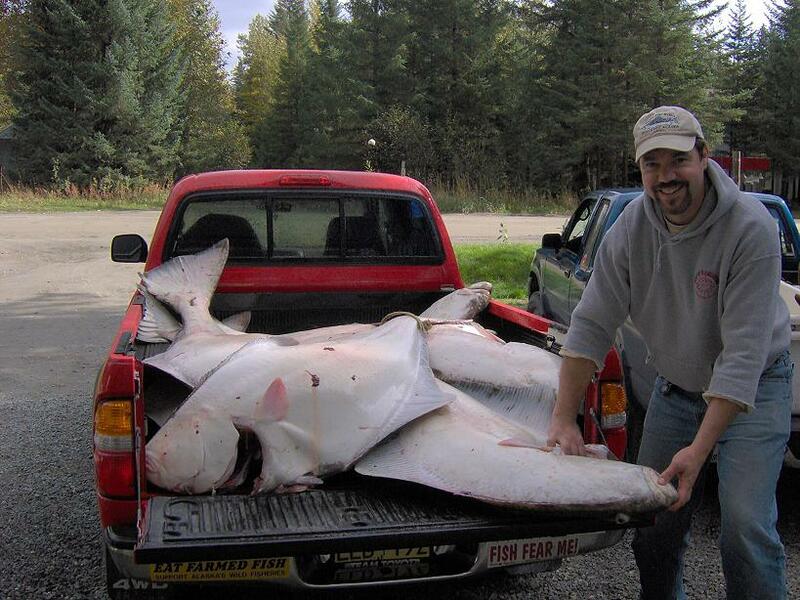 We pick up your fish at the dock in Gustavus every day at 4:00 pm. FRESH FISH IS VACUUM PACKED IN 1 TO 2 lb. PACKS, THEN FROZEN, ON THE SAME DAY. 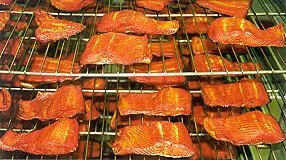 We can custom Alder smoke your fish for $5.75 lb. and vacuum pack it in 1/4 to 1/2 lb. packages. WE CAN ARRANGE TO SHIP YOUR FISH, DIRECTLY TO YOUR DOOR WHEN YOU ARRIVE HOME FROM YOUR VACATION. We will also deliver your boxed, frozen fish to the airport for you, or you can arrange to pick up your frozen fish at PEP'S PACKING. 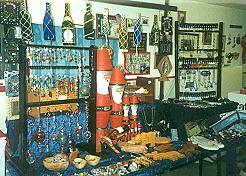 Pep has a small gift shop inside PEP'S PACKING. 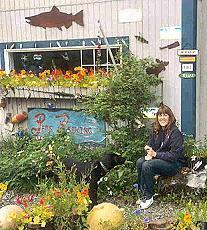 In the cold, dark Alaskan winter, Pep keeps herself busy. One of a kind, halibut ear bone ear rings is one of her specialties. Many a late fisherman has been kept out of the "dog house" by bringing home a pair of these beautiful, unique ear rings.. 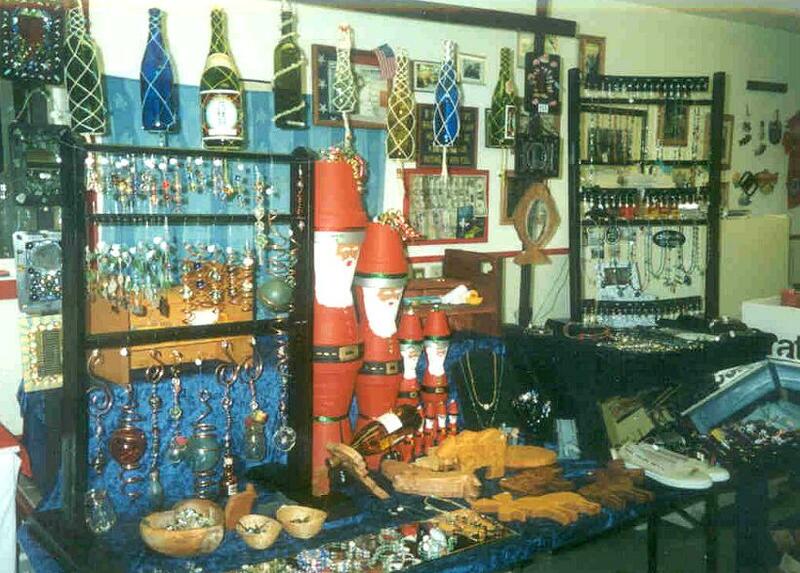 Pep also has several other one of a kind peices of jewelry for sale: Necklaces, bracelets, and wooden puzzles, and... Don't forget to pick up a nice warm PEP'S PACKING sweatshirt too, or a vest or hat. JUST COME IN AND SEE WHAT'S NEW! © 2006-2015 Pep's Packing Internet on Gustavus.com. Optimized for 1024 x 768 monitor resolution. All photos, text, and design rights reserved.